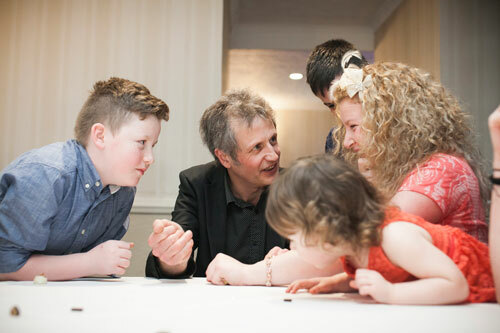 While close up magic at weddings and parties is often aimed at adults I always make sure that children of all ages are included too. Children love magic, even card tricks. Children might not know what the cards are called but I always get them to write their name on them, that way they can follow the cards and watch the magic happen in their hands. I always bring with me a variety of different effects that are really appealing to children. This might include magic with sponge rabbits, sweets or coins. All of the magic is bright and visual making it easy to follow and very entertaining. Children in their early teens are, as a rule, very clued up on magic, and have often watched Dynamo and Troy on television. When it comes to this age group I will make the magic more challenging and advanced. 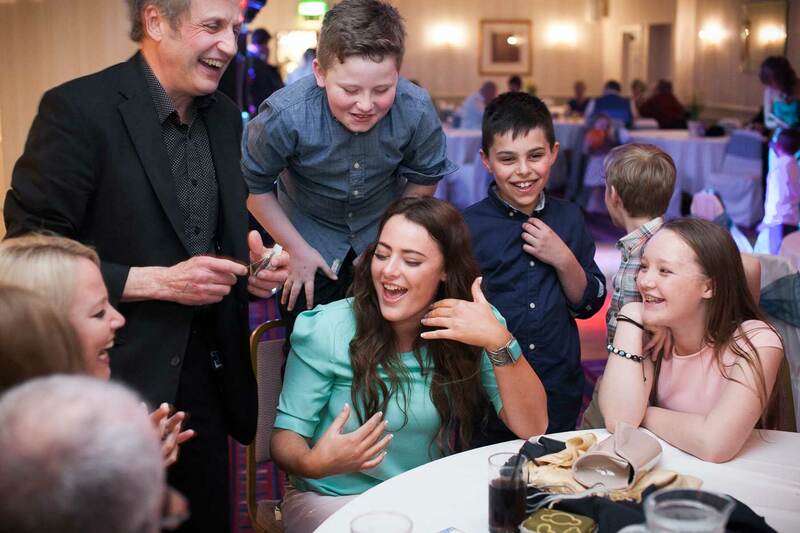 Teenagers are a great audience to perform for as they have reached the age where they don’t think magic is real but they soon change their minds and the reactions are priceless! As well as performing magic for children I am very happy to make them balloon models too. 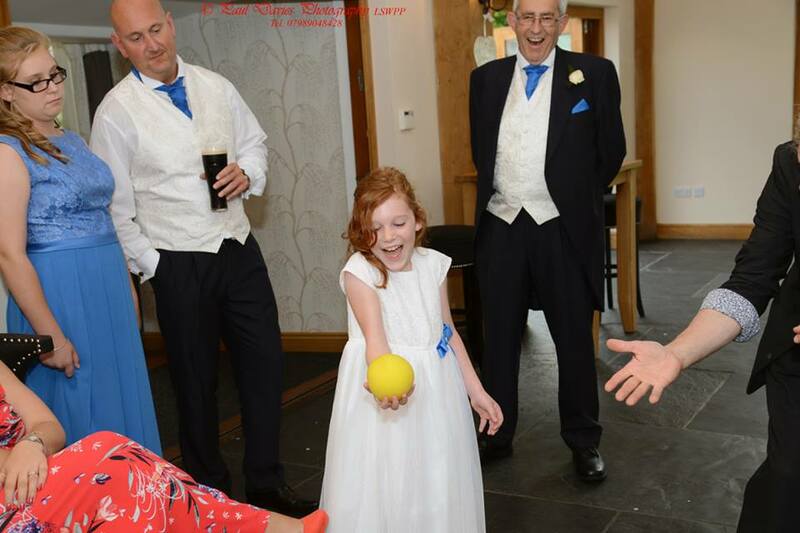 Small children love balloon models and they go down very well at private parties and other family occasions. "You were a massive hit at our wedding last August, whenever the wedding is mentioned everyone just keeps raving about you!